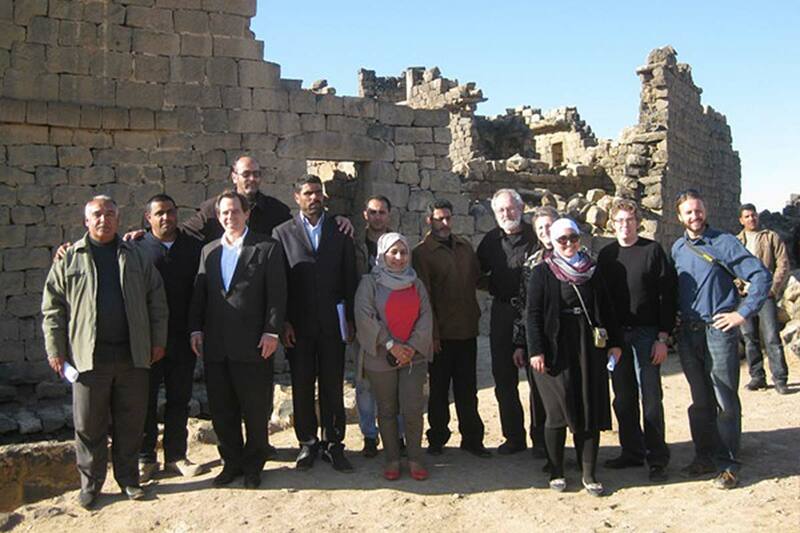 Ambassador Stuart Jones’ visits to Umm el-Jimal have served as bookends for the Umm el-Jimal House XVII-XVIII preservation field work. 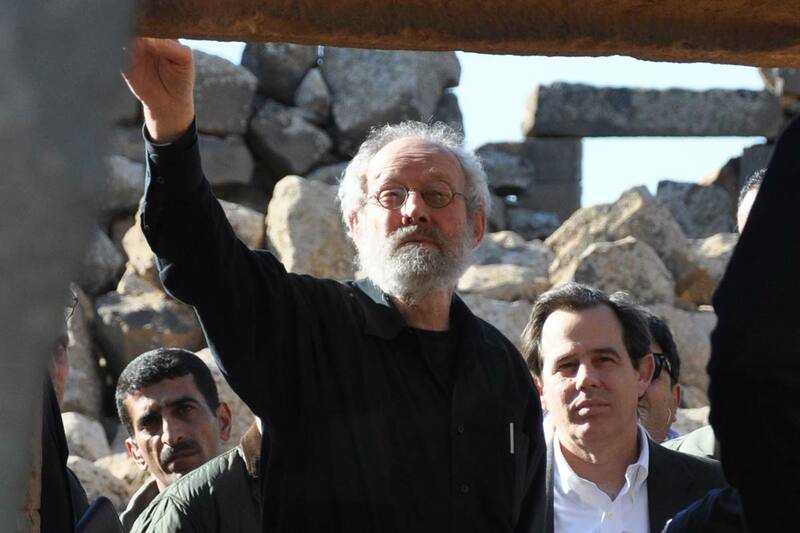 On April 29, 2012, the ambassador and his entourage came to inaugurate the preservation work. 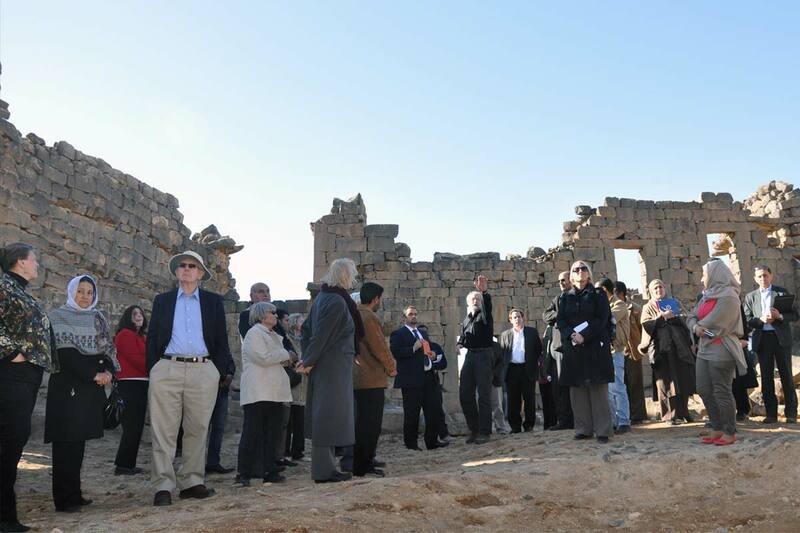 As I reported on an earlier blog-post then, the event was attended by a diverse group of about 40 who represented a cross section of all those with an interest in the project: The US embassy staff, the local community, Department of Antiquities, ACOR, the Jordan academic community and various Jordanian high officials, all with a mutual interest in the site for its heritage and community building values. 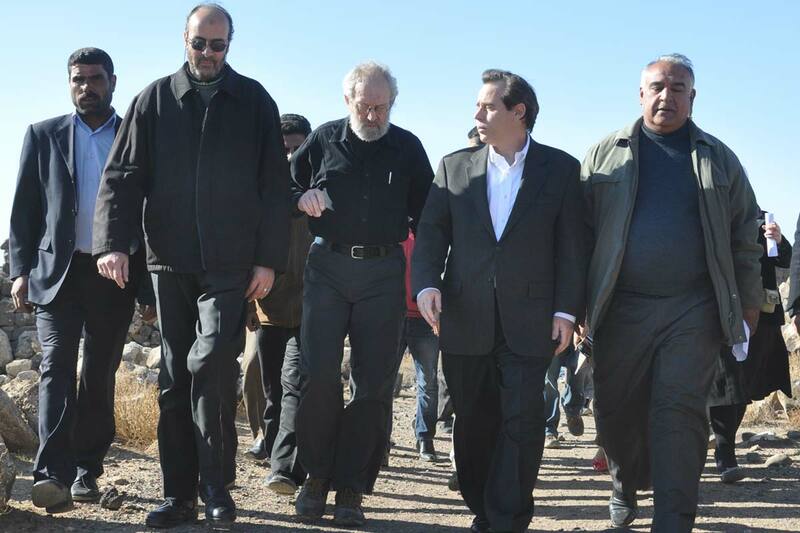 In this sense, the 21 January 2013 visit was almost a carbon copy. The crowd this time was over 50 and more of our (Bert and Sally de Vries’) personal friends from Amman came. 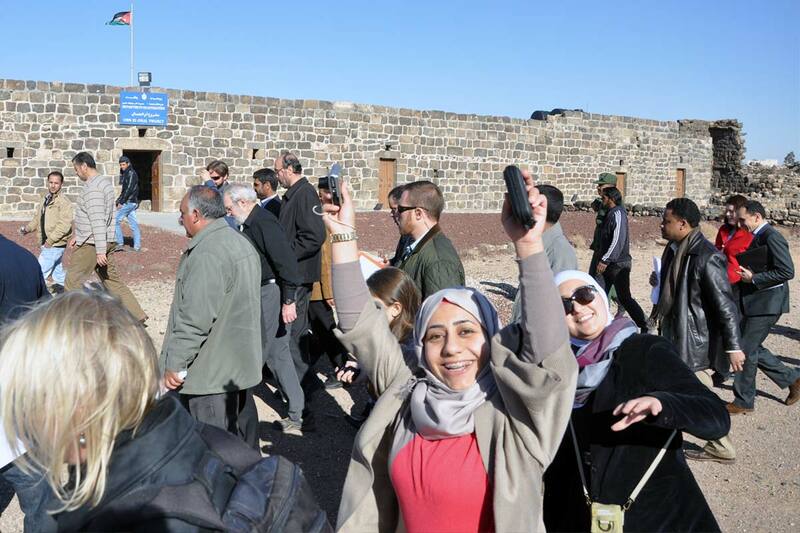 However, in the first visit the joy came from anticipation—expectation of the work to be done and challenges faced. This time the joy came from celebration of fait accompli, of delivering more than promised and of meeting the toughest challenges—but celebration also of relationships formed, trust built, and friendships cemented from a year of cooperation and partnership. Bookends indeed, these two visits. In making the exact same tour twice, we stood in a once rubble filled but now open courtyard; we saw a once tottering double window standing buttressed and stable; we passed through the beautiful House XVIII exit hall—the one with the double stone door—which in April was blocked to the ceiling; a stable too dangerous to enter was now toured under a repaired roof. Everywhere fine construction details, once hidden from view, were now exposed to display the cleverness of their builders. The celebration ended again with sweets (the best of Mafraq) and juices at the project house. This reception included the typical speeches, thank-yous from de Vries, praise from the ambassador and greetings conveyed by Abdul Qader al-Housan, the Mafraq director of Antiquities, on behalf of his Excellency Naif al-Fayez, the Minister of Tourism. But the mood remained euphoric and the end was dramatic. The climax was a brief slide show put on by Open Hand Studios. Jeff DeKock showed an amazing set of before and after pictures in which he framed the shots so identically that you could see rubble fade and stones pop into place as photos faded from frame one into frame two. 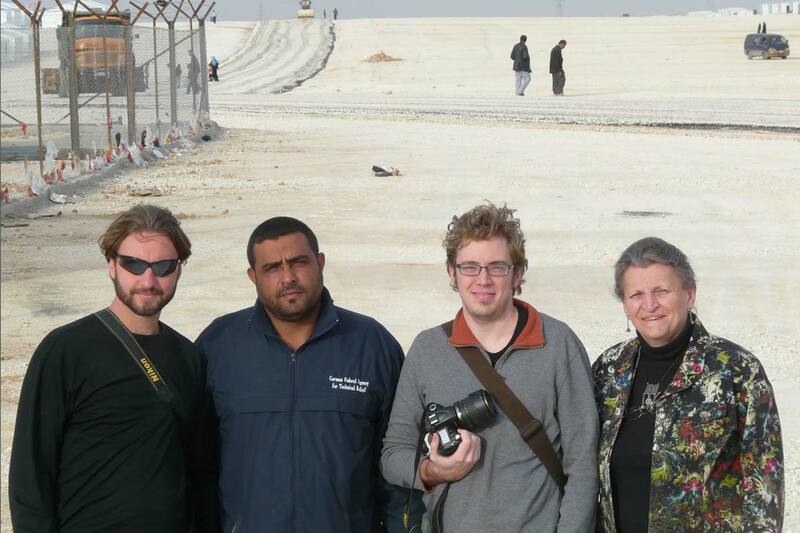 And Paul Christians gave a brief photo journal of the work in progress, starring our intrepid Umm-el-Jimali masons. It was all over in less than two hours—a magic moment! See the main site’s House XVII-XVIII page for more about the project.